He may be Batmans partner but he has some tricks of his own! Batman side kick is always ready for some action! 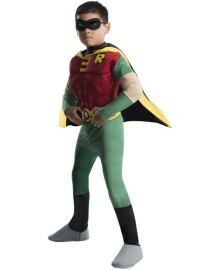 This Robin Costume features a green, red and yellow muscle chest jumpsuit with attached grey and black boot tops, eye mask, cape, and printed fabric belt. 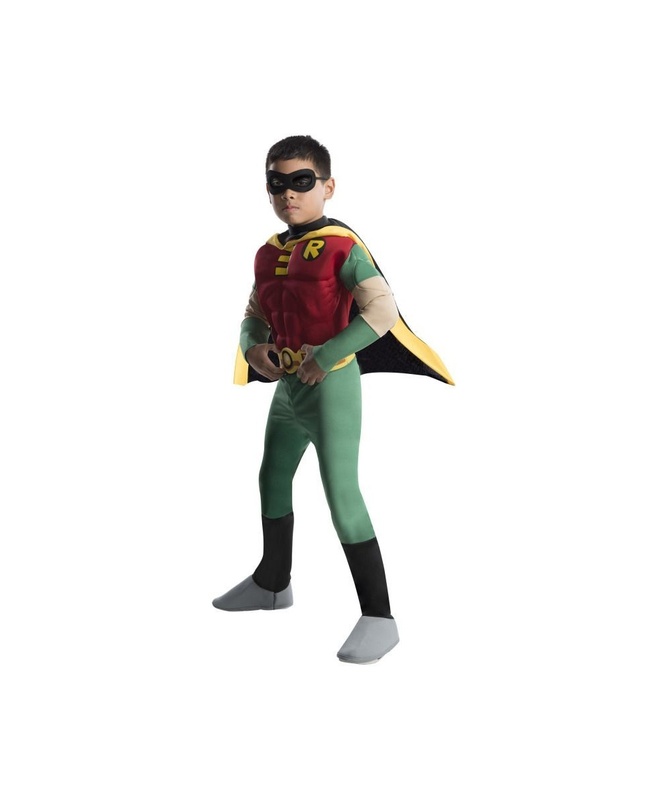 This Robin Costume is available in Toddler size (2-4), and Child sizes Small (4-6), Medium (8-10), and Large (12-14). 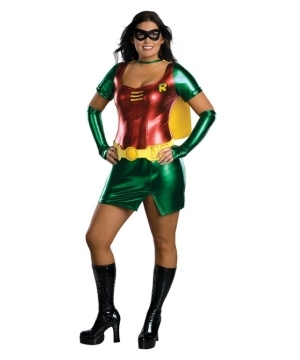 This is an officially licensed Teen Titans DC Comics (TM) product. 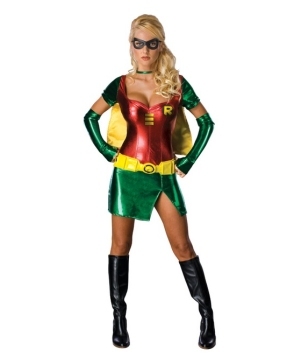 What a great Halloween Costume in the style of the popular animated T.V. series! 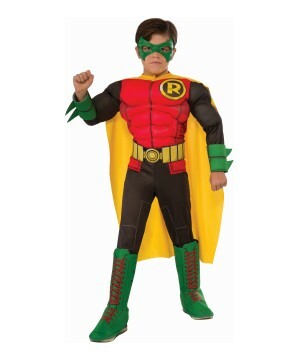 Please note costume does not include shoes.Made of 100% Polyester. Care Instructions: Hand Wash. Cold Water. Line Dry. No Bleach.